Many folks ask "Now that I have a PUP, what stuff do I really need?" The following is my "Must Have" list which includes items needed to camp safely, prevent accidents / break downs and trouble shoot / solve problems. Of course it should go without saying that you should always have the PUP manual as well the manuals for other equipment (fridge, AC, axle, hotwater heater, etc.). 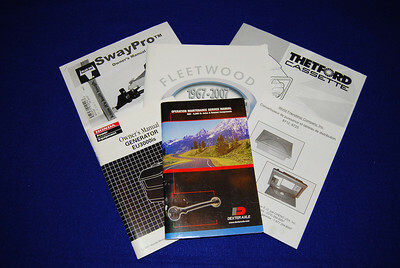 However, I know that if you have purchased a previously owned PUP, then you may not have the manuals. Water pressure regulator. This will prevent the PUP plastic pipes from bursting with hooked up to city water. Water hoses. 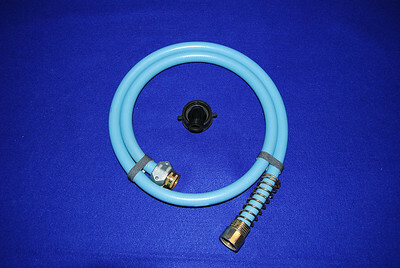 Note you should purchase white hoses as they are approved of drinking water. 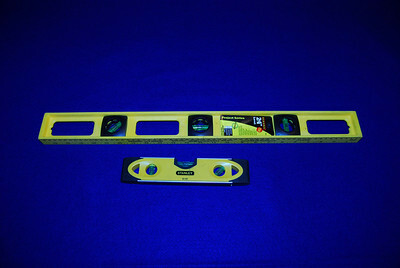 To be safe you should have at least 50 feet. 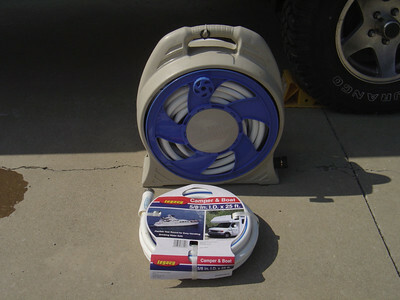 If you are not hooked up to city water you will have to haul water from a camp ground spigot back to your camper should you run out of water. For this you will need containers. 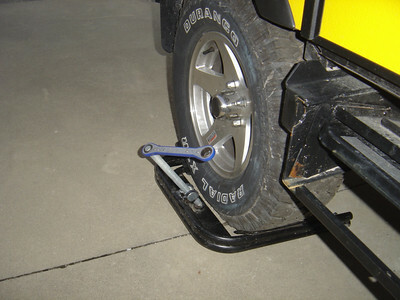 However, carrying them can be a pain unless you use your tow vehicle. 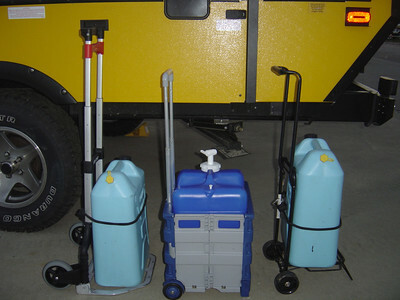 I've tested several folding carriers and found that the heavy duty one on the left with the large wheels works the best. 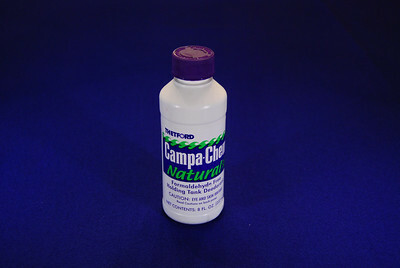 There are several options to store gray water. 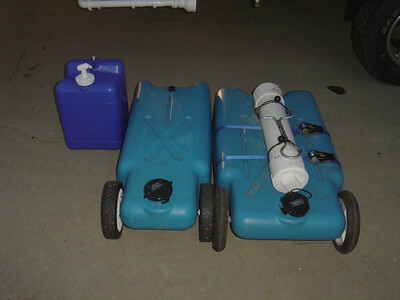 On the left is a seven gallon Aqatainer (some folks use two connected to each other). The middle (15 gall) and right (22 gall) are commerical gray water tanks. 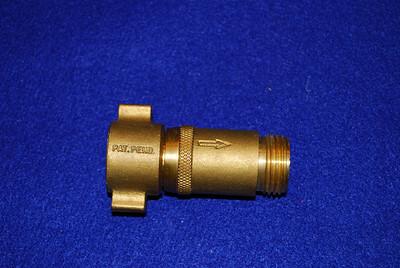 You might need the adapter (shown in the middle) to connect a short peice of hose from the PUP drain to the gray water container. If you have a cassette toilet or a porta potty you will need a deodorant to control the odor. Note this should only be added to the black water tank and NOT to the flush water. 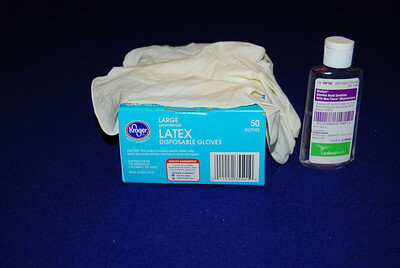 One should always wear gloves and clean your hands with soap or a sanitizer after handling the cassette toilet or a porta potty. A carpenter level... needed to level your PUP to ensure you don't strain the frame or the lift mechanism, to ease setting up the door and most important - your fridge will only work correctly if the PUP is level. Alternately to the carpenter level you can add levels at both PUP corners sides (front and side) of the front of the PUP. This allows me to quickly see what adjustmenets I need to make to level the PUP. 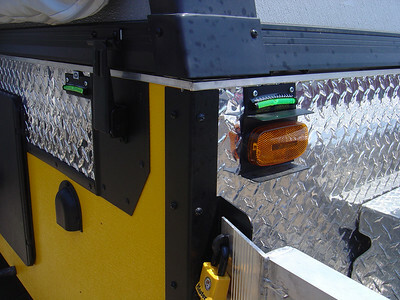 Note - I have another pair of levels mounted on the other side of the trailer. 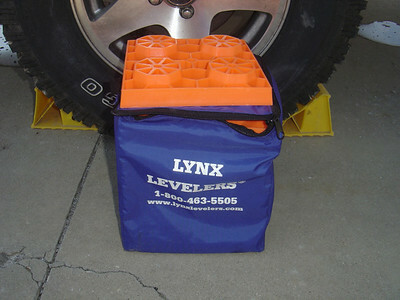 Lynx blocks for leveling. Alternatively you can use wooden boards. 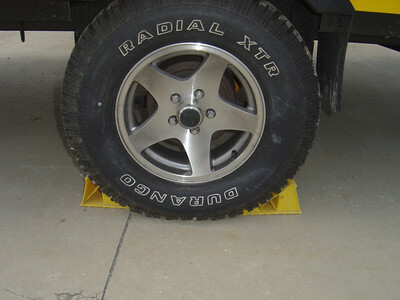 Note - the Lynx blocks can be placed under the tongue jack or stabilizer jack when you have parked on sand or wet soil. 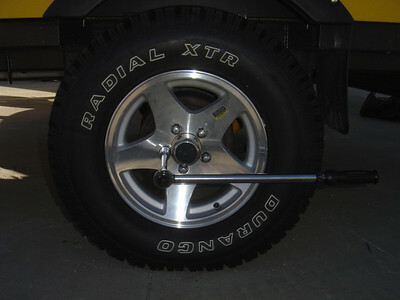 The best wheel chock on the market is BAL single tire locking chock. This chock will make your PUP very secure. 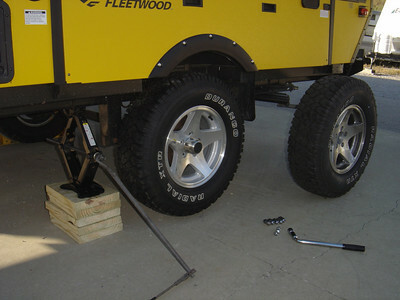 Jack, and maybe wood blocks to raised the PUP in order to change a tire. 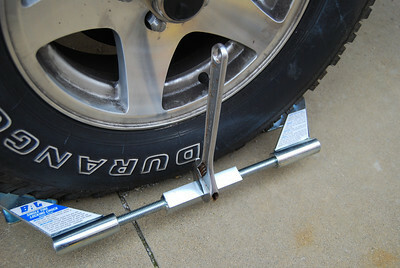 Also make sure that the lug wrench is capable or removing both the mounted tire as well as the spare. 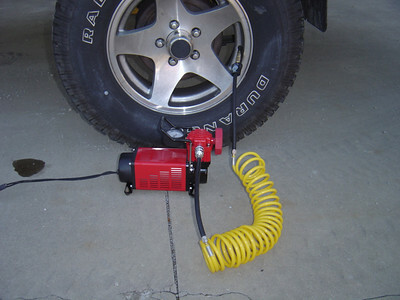 Q-MAXX MF1052 - 12 volt High volume air (2.54CFM) compressor. It comes with a 16' hose, 8' power cord and case (Not shown). 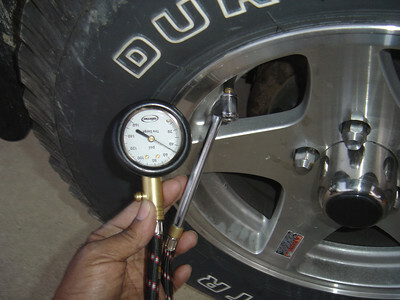 Torque wrench, extension, and correct socket need to tighten the lug nuts to the recomended tension. 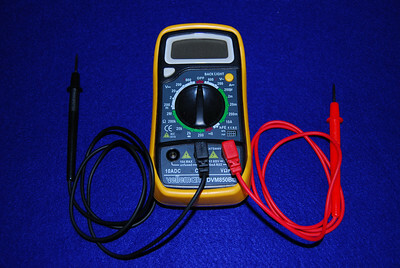 Velleman DVN850BL multimeter. 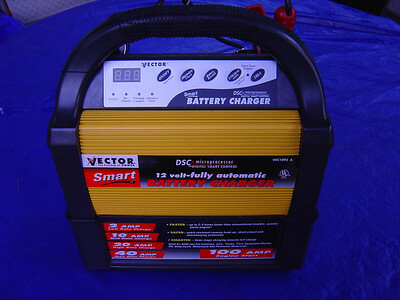 I like this one because it has a back light which comes in handy if you are checking the camp ground voltage late at night. 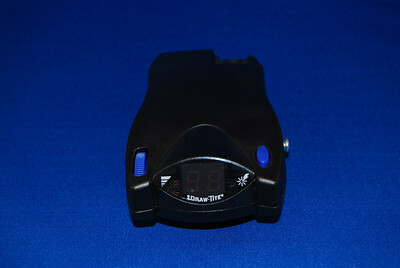 A Circuit analyzer (yellow unit) allows you to check the polarity and ground of the CG post before you plug in your PUP. 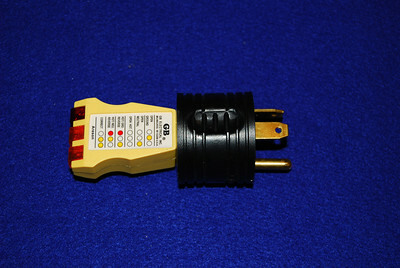 I've attached it to a 30 Amp male / 15 amp female adapter (black unit) so I can plug it into the 30 Amp outlet on the post. You might go for years without needing these extension cords - 30 Amp (Left) and 15 Amp (Right) but when you do you'll be glad you have them. 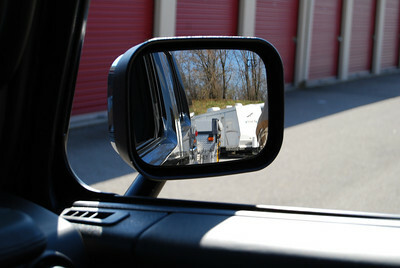 Depending on a number of factors including tongue weight, you might expereice some sway while towing. If this happens you need to install a sway bar. 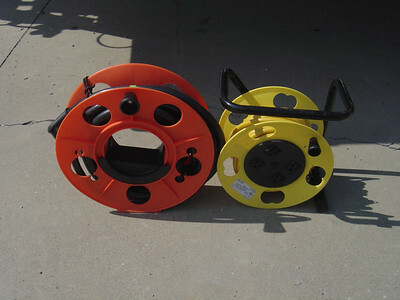 If the weigth of the PUP depresses the back of the tow vehicle, you can use a weight distribution hitch to correct this problem. 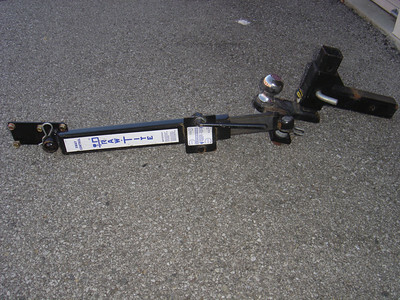 However, you should check and see if there are any prohibitions from using one on either the PUP (e.g., the frame can't support it) or tow vehicle (e.g., hitch not designed for a WDH). 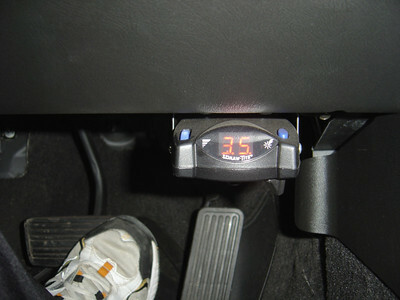 If you have an electic brake on your PUP you will need a brake controller installed in your tow vehicle. 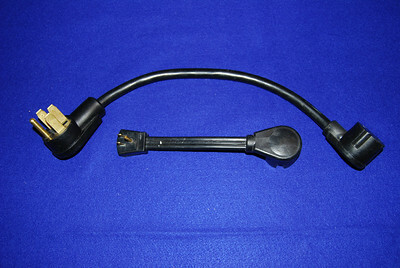 I highly recomend the Prodigy Brake Controller from Tekonsha. Note the Draw Tite unit above is the same as the Prodigy Brake controller it just comes with a different label. Brake controller installed in my tow vehicle. If your TV vehicle mirror does not allow you to see your PUP you will have to get wider mirrows.